A chic two colour bracelet watch from the Boyfriend Small collection by Coach. 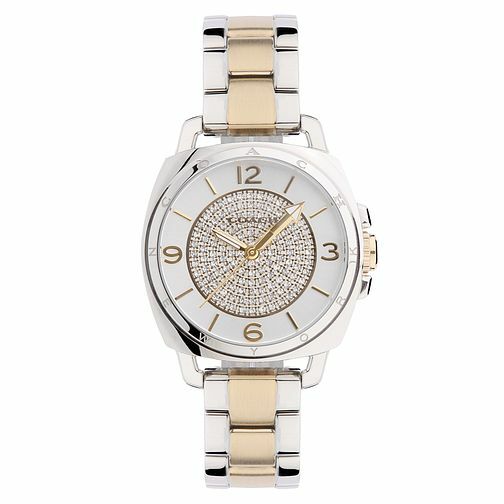 With a silver crystal embellished dialt and stainless steel case, this contemporary watch offers sleek style to take you through from daytime to evening. Effortless New York style by Coach, expertly crafted since 1941.